Terra Power Tools - Lite Edition allows you to perform complex volume calculations between multiple Autodesk® AutoCAD® Civil 3D® surfaces using material tables. Materials are defined in material tables similar to what you would use for corridor earthwork calculations. 3D 'solid' layers are calculated between selected surfaces and are categorized based on the material table, and the results are shown in tabular form and may be exported or placed in your DWG. Calculated material layers can be exported into Civil 3D as mesh entities. Session data and material tables may be saved for quick and easy retrieval in another session or project. You can also use Terra Power Tools - Lite Edition to create, modify and merge surface geometry, including creation of 'level' surfaces, splitting one surface against another, or merging multiple surfaces keeping only the 'topmost' data in any given region. 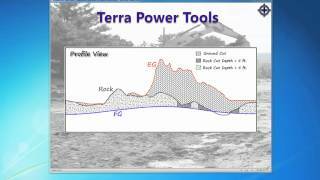 If you work with grading/site design, complex corridors, or any other model involving multiple surfaces, Terra Power Tools - Lite Edition is an indispensable tool for calculating material volumes and manipulating surface geometry.